This is a statistical analysis report which uses statistical tools, models, methodology and tests to analyze the business problems for A-Cat Corporation and recommends the best forecasting models for overcoming the current issues with demand estimation of the company. The report has been broken down in different parts and each part is backed up by data driven methods. There is a range of statistical tools which could be used in order to analyze the data which has been provided in the case study. The case study shows that the data, which has been provided, is basically related to descriptive statistics and hypothesis testing such as One Way ANOVA and One sample t-tests are shown in the case study. The statistical tools which could be employed to drive the decisions for the business problems of A-Cat Corp are many such as Excel, SPSS, Stata etc. As stated previously that the data which has been provided in the case study is basically related to hypothesis testing and descriptive statistics, therefore this assumption led us to choose this family of statistical tools. The variable in this study is the demand quantities of the number of the units sold or demand for a particular product and its level of measurement is scale. Variables that might be measured at an ordinal or a nominal level are not present in the provided data sets therefore, using SPSS or any other statistical tools would not be appropriate and it would complicate the analysis plan. The data set in this case study is of scale category and therefore, it is wise to use the most simplistic statistical tool for driving the decision and finding recommendations for the business problems. 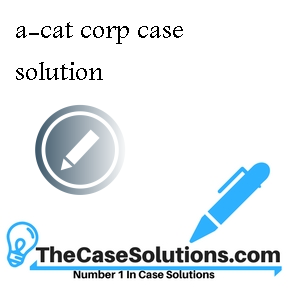 As stated previously that the data in this scale is all scale and there is no use of the nominal or ordinal data in this case study therefore, the most appropriate statistical tool for analyzing the business problems of A-Cat Corp would be the excel spreadsheet package and there are two justifications for this. Firstly, all the data is scale and all hypothesis tests could be performed in excel and secondly it would simply the analysis process. 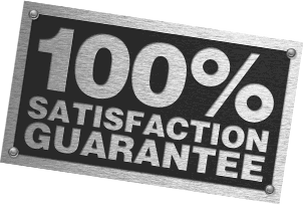 A range of quantitative methods has been employed in this report to analyze the statistical data. First of all, the descriptive statistics have been generated to analyze the nature and the movement of the data sets for each of the years from 2006 to 2010 and the data for 2009 and 2010 has been forecasted using the simple moving average technique (Freedman, 2005). This would remove all sorts of the discrepancies from the data and resolve the issues faced by the operational managers of the company. The data has been extracted from company’s files and no other external sources have been used for data analysis. A-CAT Corp. Statistical Analysis Report Statistical Analysis Report on A Cat Corp: Forecasting Statistical Analysis Report A-CAT Corporation A-CAT Corp. – Bang for the Bucks Critical Element III- Identify Statistical tools and methods to collect data: Decision-making at A-Cat Corp. A-CAT Corp. – Bang for the Bucks Using Data Desk for Statistical Analysis Material Requirements Planning at A-Cat Corp.